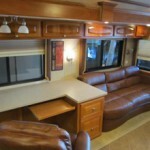 Our goal at Dave and LJ's is to offer products and services to personalize your RV interiors. 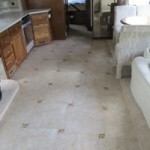 Whether we are adding a single product to your RV or doing a complete RV remodel, here at Dave and LJ's we strive to stay ahead of the latest RV interiors trends on the market. 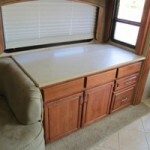 RV Furniture, Flexsteel Fold N Tumble Airbed! 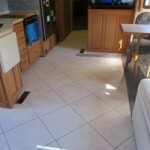 Tile Front to Back in a Motorhome! 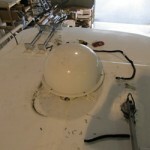 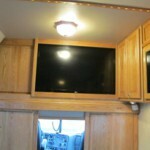 Motorhome Ceiling Fan And Custom Light Panels! 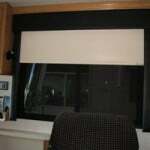 Redesigned Window Treatments and Auto Motion Shades! 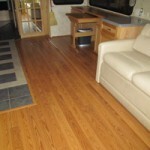 Installing laminate flooring on a motorhome slide! 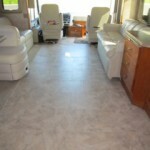 Auto Motion Shades, Custom Cabinets, Flooring and more! 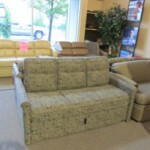 Flexsteel Theatre Seating & a TV to match!